This introductory course is for SAS software users who perform statistical analyses using SAS/STAT software. The focus is on t tests, ANOVA, and linear regression, and includes a brief introduction to logistic regression. This course (or equivalent knowledge) is a prerequisite to many of the courses in the statistical analysis curriculum. A more advanced treatment of ANOVA and regression occurs in the Statistics 2: ANOVA and Regression course. A more advanced treatment of logistic regression occurs in the Categorical Data Analysis Using Logistic Regression course and the Predictive Modeling Using Logistic Regression course. 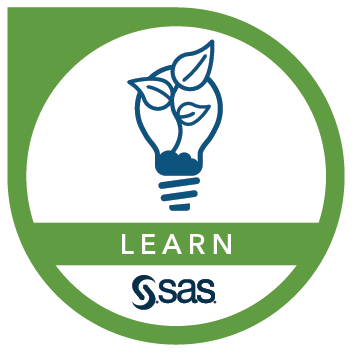 This course addresses SAS/STAT, SAS Analytics Pro software.